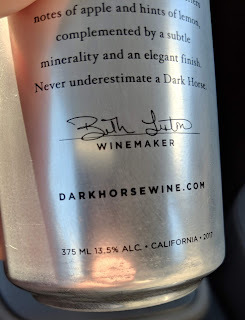 Dark Horse wine in a can. Usually found in a glass bottle fairly cheap. This can was found chilled at Best Liquors in Atlantic City.Perfect for koozie,wine glass or quick chug. 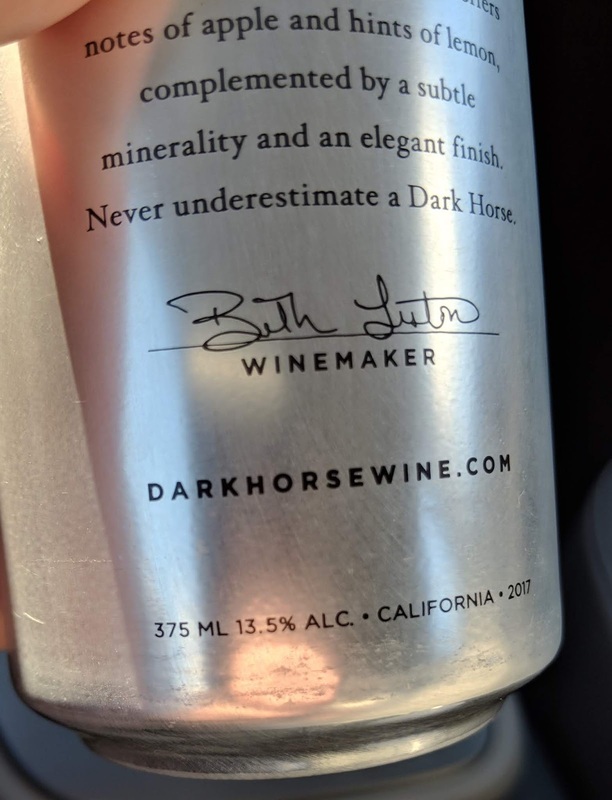 At 13.5%,it has the same sting as the average MD or Four Loko. But this stuff goes down super smooth. Not too sweet. No crazy bad aftertaste. Just good cheap, buzz worthy hooch.Of course,I'm mixing it with pork cracklins'. Let's party! Krude approved. 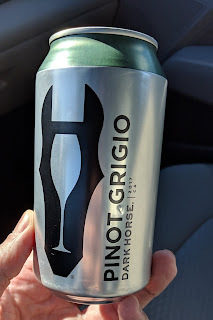 Next up is another can of strong,chilled wine. 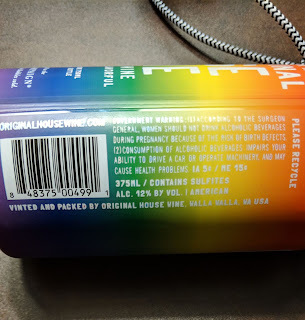 This one comes from House Wine. I found a limited edition can of 12% sparkling rose to try. Not bad. 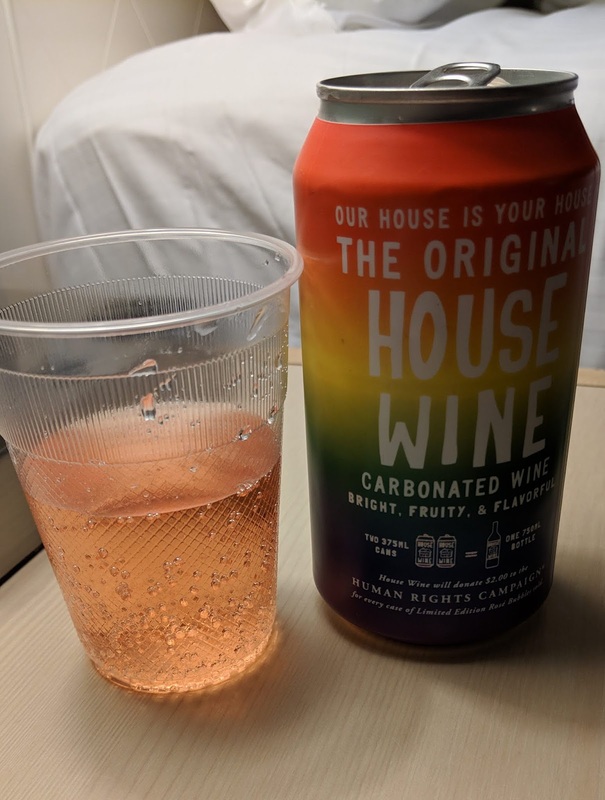 Tastes like a sparkling Barefoot wine.Or a vintage 1980's wine cooler.With way more kick.This low rent hooch is chick friendly. If your skirt drinks two of these,your evening will be VERY social. Not sure whether either of these can wines are available anywhere besides New Jersey. But if you see them.pick a few up. You will not be disappointed. Have a few koozies handy too. Lastly, Krude found a cheap Long Island Iced Tea in a small plastic bottle. 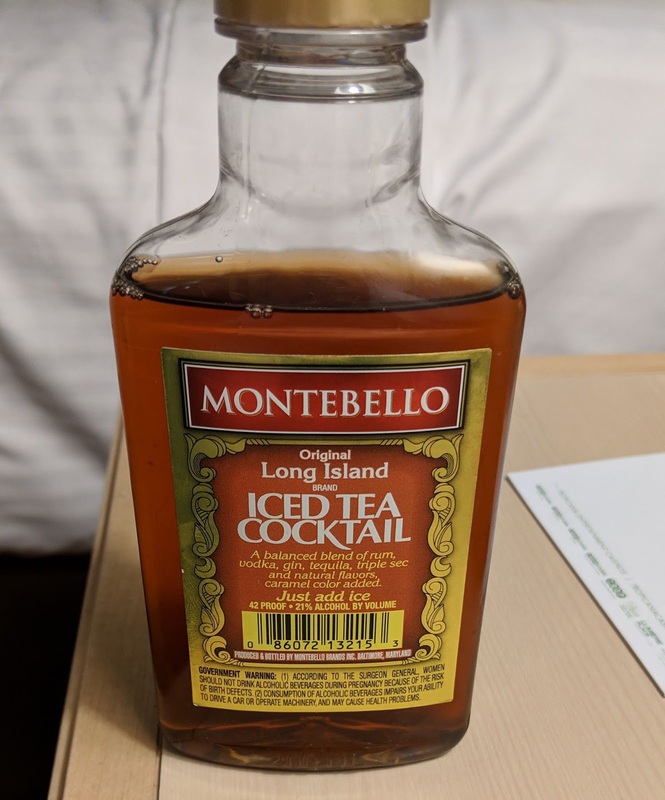 This drink is made by Montebello. The bottle is perfect to sneak into a football stadium or rock show. Just pour this over ice and have 42 proof worth of knockoff LI iced tea at your beckon. Tastes like a new fangled fortified wine. Has a Thunderbird warmth to it. Not bad. Not for the ladies either. Nice buzz. 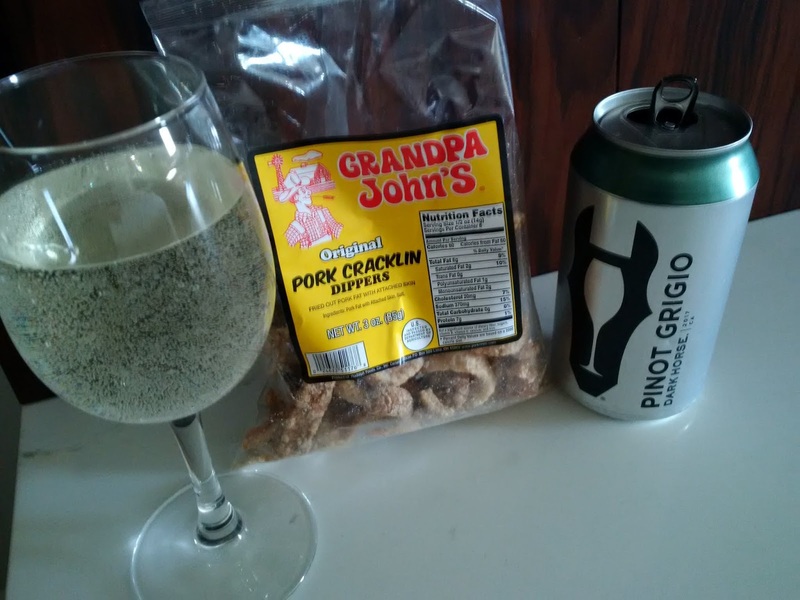 In closing, Krude did his homework to find some inexpensive and tasty portable booze. 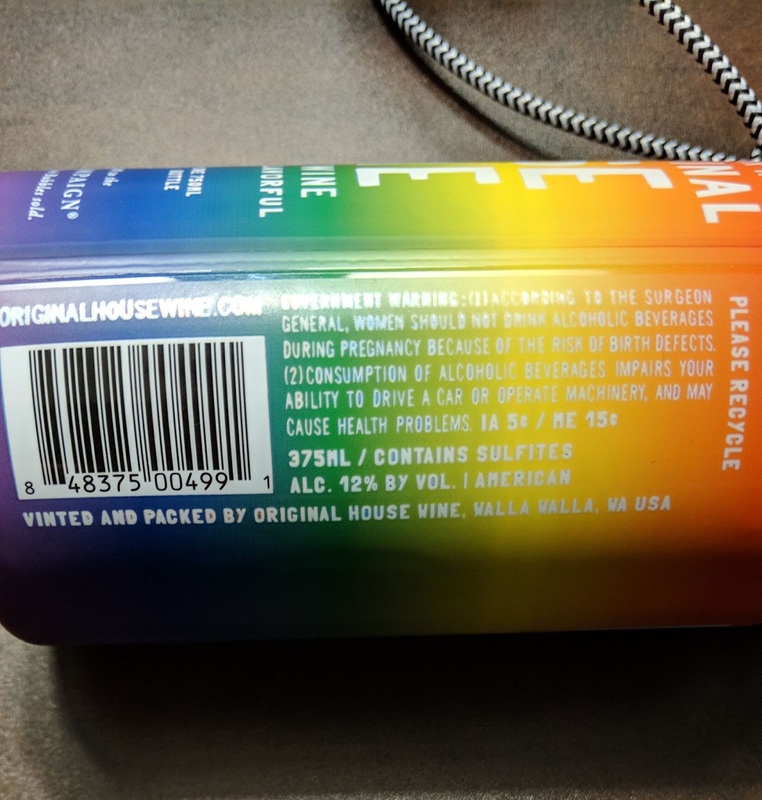 The future is bright for the bottom shelves of your favorite liquor stores. Don't let any dust collect on these winners. Cheers!